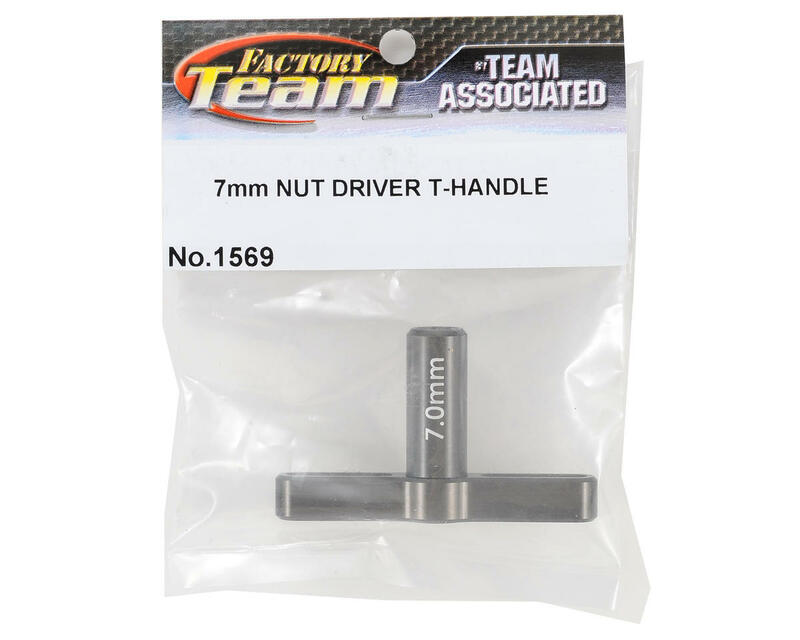 This is the Team Associated 7mm Factory Team T-Handle Nut Driver. This nut driver is made from aluminum alloy material and has been hard anodized for increased durability. 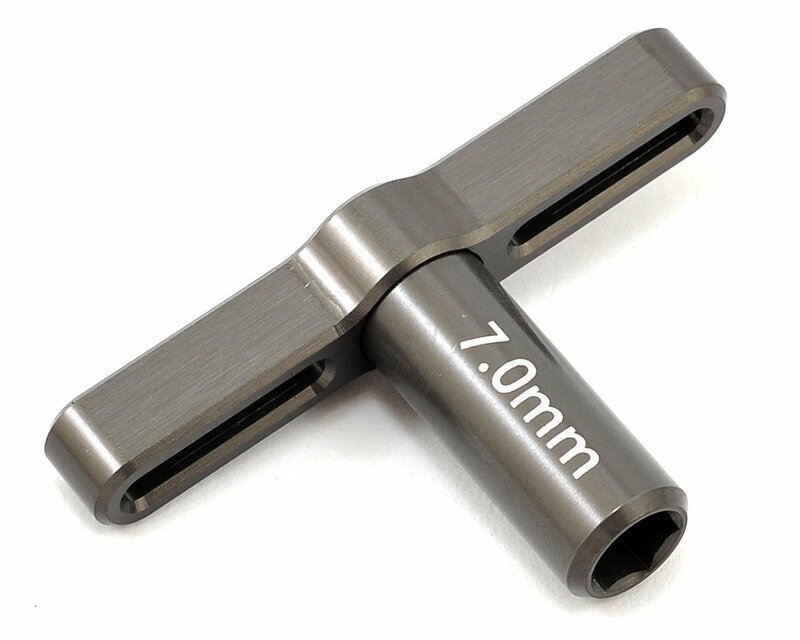 The driver's t-handle shape provides extra leverage for wheel nut removal or installation, as well as any 7mm nut application.